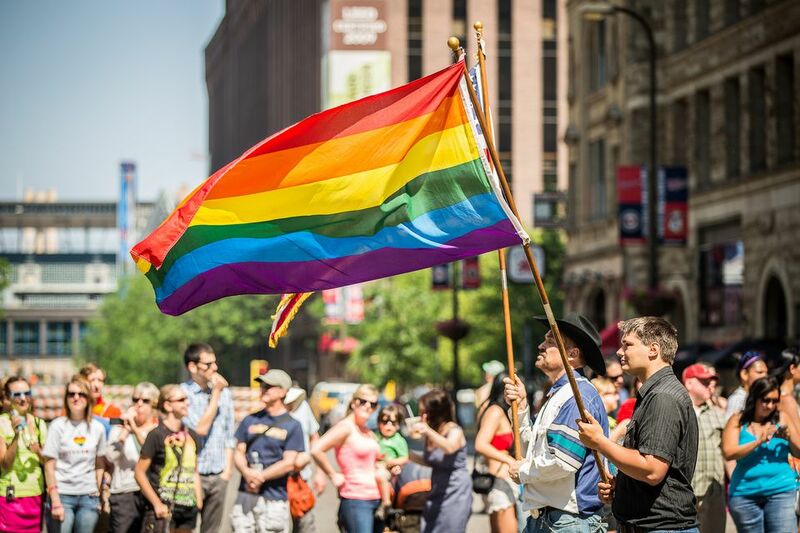 The Twin Cities of Minneapolis and St. Paul celebrate Gay Pride for more than a full week each June, in part to honor a seminal moment in the history of lesbian and gay rights, New York City's Stonewall Riots. In the Twin Cities, Pride celebrations center around a series of events held around the last week of June, culminating with two major events, the weekend-long Pride Festival and the Pride Parade. During the weeks leading up to Pride, you can attend a number of related events and activities. Here's a complete Twin Cities Pride calendar. "Fellow Travelers" presented by the Minnesota Opera: In 2018 on June 16, 19, 21, and 23 at 7:30 p.m. and June 17 at 2:00 p.m., watch a story of a then-forbidden love affair between a college student and a State Department official in the 1950s. Performed at The Cowles Center for Dance and the Performing Arts, Goodale Theater. Pride Picnic, Como Park Zoo and Conservatory: Held on June 17 in 2018, the festivities begin at 11 a.m. and last until 2 p.m. Activities typically include races and table games; burgers, hot dogs, and salads; and a softball game. Pride Festival, Loring Park: The Twin Cities main event is a weekend-long Pride Festival, held in 2018 on June 23 and June 24 from 10 a.m. to 6 p.m. There are several stages hosting a variety of performers, still to be announced for 2018 but in previous years has included The Pointer Sisters, Adore Delano, and The Phoenix Philosophy. There is traditionally a children's and family area, food courts, a GLBT history pavilion, a "University Row" set up to provide information about colleges and universities in the area and their GLBT outreach, and Quorum Village, a 400-strong vendor/exhibitor gathering presented by the Twin Cities GLBT Chamber of Commerce. The Ashley Rukes GLBT Pride Parade: Taking place on June 24 in 2018 at 11:00 a.m., this parade has become more and more popular, drawing more than 125,000 spectators in recent years. It begins at the corner of 3rd Street and Hennepin Avenue and follows Hennepin south to the Pride Festival, in Loring Park. Be aware that several gay bars as well as local restaurants and shops have special events and parties throughout Pride Week. Check local gay papers, such as Lavender Magazine, for details.